A generous grant from the TK Foundation has helped Bergzicht Training, a Stellenbosch-based skills development NGO, to train an additional 52 students in the last year. The TK Foundation is an international, private grantmaking foundation supporting non-profit maritime and youth development programmes across the world. Over and above the 52 students sponsored by the foundation to complete the Advanced Programmes for 2017, Bergzicht Training has also trained an additional 334 students (including those who completed the entry-level iPOWER (Self-Empowering) Foundation Programme) for the year. At least 76% of these graduates will be placed in full-time employment. The first group of students to graduate from Bergzicht Training with the help of the foundation, consisted of 11 women who had completed the Health and Welfare SETA-accredited Health and Frail Care Programme. The programme equips students to become either a nurse’s assistant or a frail care assistant, and provide care to a sick or frail patient, an elderly person, or a sick baby or child. During the full-time 15-week programme students cover modules such as ethical care at health care centres and in private homes, basic anatomy, how to assist immobile patients, and baby and child care. The programme consists of five weeks of theoretical and practical training in a classroom setting followed by a 10-week work-integrated learning opportunity offered at one of 26 different care institutions in the Western Cape. 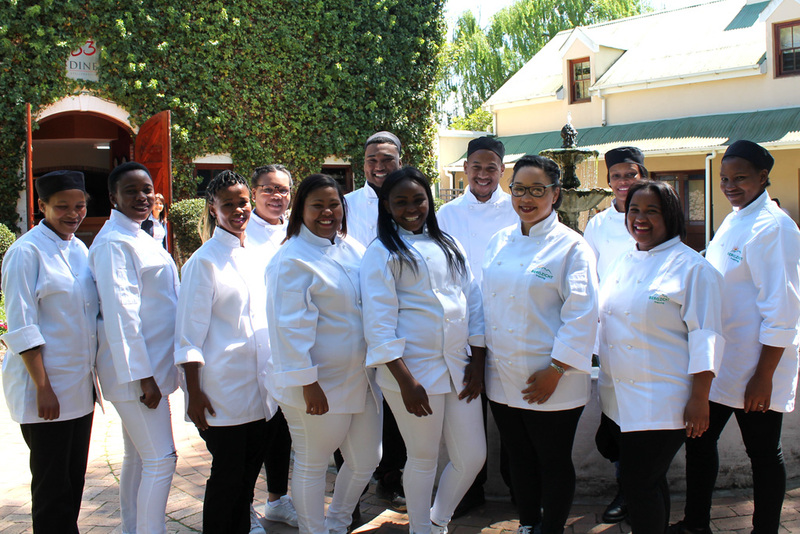 In addition, 23 students completed the City & Guilds’ Professional Cooking and Food and Beverage Service Programme, a world-renowned qualification within the hospitality industry, at The Private Hotel School’s (PHS) campus in Vlottenburg, Stellenbosch. As part of the 10-week accredited programme students are trained in the City & Guilds’ Skills Proficiency Awards in Basic Food Preparation, and Food and Beverage Service. The programme consists of seven weeks of theoretical and practical training at the PHS campus, followed by a three- week work-integrated learning opportunity at a range of hospitality and tourism organisations. 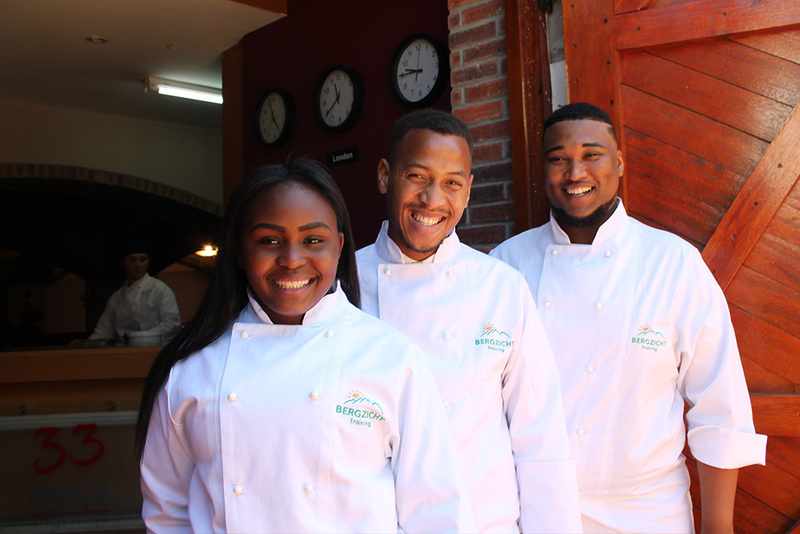 The programme prepares students for employment opportunities as professional waitrons, cooks, kitchen assistants and assistant chefs in the hospitality and tourism industries. “Bergzicht Training recently received a uniform sponsorship of two uniforms per student for every Professional Cooking course in 2017, and thus the TK Foundation-sponsored group was also able to benefit from this donation from JLS Clothing. Thanks to their generosity, the students do not have to worry about the costs of purchasing their own uniforms,” said Renske Minnaar, the CEO of Bergzicht Training at their graduation. Except paying for the costs of the advanced programmes, the graduates were also able to complete the entry-level 6-week iPOWER (Self-Empowering) Foundation Programme as well as the 10-day Employability Course, which includes a 5-day Computer Training course at JCT Computer Training. Over the next two years, Bergzicht Training will be able to provide free courses to another 72 beneficiaries thanks to the TK Foundation. Twenty-year old Nokhanyo Hlungula from Klapmuts, thirty-year old Melissa Steenkamp from Grabouw and 23-year old Andeline van der Westhuizen from Bonnievale, were part of the group who completed the Health and Frail Care Programme. “I didn’t really want to come to Bergzicht Training because I was not interested in nursing. I had an interest in fashion design, but my mom told me to come here so I registered because she said so,” said Nokhanyo at her graduation. However, all this changed when Nokhanyo started her work-integrated learning opportunity and was assigned to assist nursing staff with patients with dementia. “The smiles on the patients’ faces when they saw you each morning really made my day and I thought to myself, let me see how this goes. I worked with a range of patients, some friendly and some very angry, but I learnt to remain positive. One of her patients, Marie, was extremely difficult to deal with, she said. However, she quickly learnt to pick up on Marie’s frustrations and would encourage her to remain patient during activities like changing her clothes or bathing, promising her a cup of tea or a treat afterwards to distract her from the task at hand. According to Melissa, she was advised to go to Bergzicht Training by another nurse after being unemployed for nearly five years. 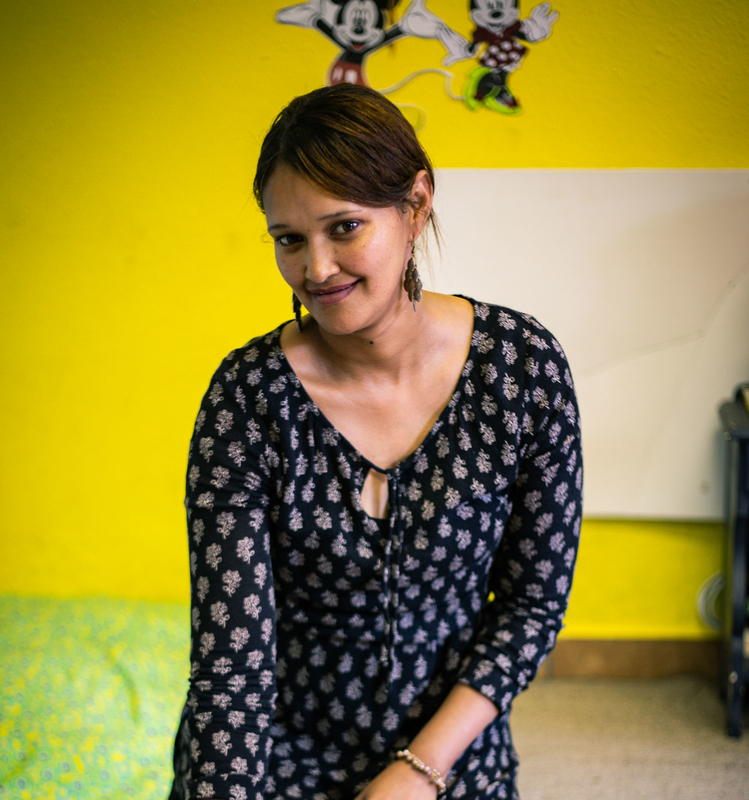 In order to scrape the money together to travel from Grabouw to Stellenbosch, Melissa offered hairdressing services to locals in her community. When she eventually had the travel fare she needed, she visited Bergzicht Training and registered for their entry-level programme. After being accepted, Melissa had to travel from Grabouw every day, often leaving home at 05:00 in the morning to catch a bus to Somerset West at 06:00. From there she would travel to Stellenbosch by taxi. “I was determined to do something with my life. Bergzicht changed my whole life. From the first day that I started with my Life Skills course, I got to know myself better and I realised where I was going to go with my career going forward,” said Melissa. 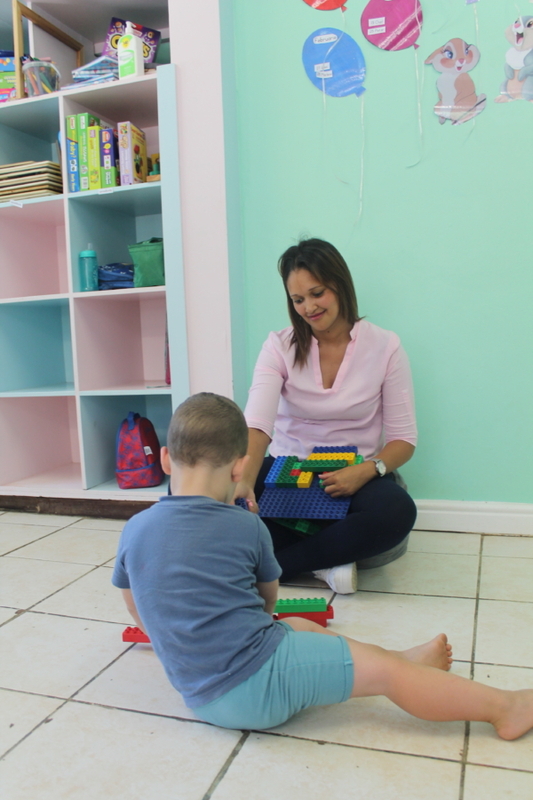 Melissa did her work-integrated learning at Themba Care, a hospice in Grabouw. “I would like to become a staff nurse and I am determined to go much further than this. If I can do this, I can go much further. For Andeline the road to obtaining her certificate in health and frail care was filled with many challenges. Her aunt, Mercia Muller, is particularly proud of her. Students who completed the professional cooking programme at PHS were given the opportunity to meet Cherelene Newman, a Bergzicht Training alumnus who has been working as a commis chef at Equus Dine at Cavalli Estate for the last two years, and Thys Lombaard, an entrepreneur from Marketing SA Wines. “When they come to PHS, they already know what to expect at PHS. “Everything I learnt at The Private Hotel School and at Bergzicht Training I was able to apply at Cavalli during my training. I started with my practical training in August 2015, and a week after completing my course I was offered a job at Cavalli. I started by preparing starters and today I am working on main courses and am learning how to make pastries and bake bread from scratch. If you want to succeed in this industry, you must be willing to start at the bottom and say yes to whatever you are asked to do even if you’re not sure if you can do it. That is how I learnt to do everything – by saying yes to everything I was asked to do,” said Cherelene. Thys encouraged the graduates to strive for their own version of success once they entered the work place. “If you don’t figure out what your idea of success is, if you don’t do that for yourself, the world will decide that for you. I think if we had to compare ourselves to most ideas of success in a town like Stellenbosch, I can guarantee you that not one of us will feel very successful,” said Thys as he relayed his own story of finding his own success. Not soon after, Thys was retrenched. He was devastated. Just a day after losing his job his wife sat him down again. This job in social media led to Thys delving into one of his passions, taking photographs and starting to do social media and videos for a number of other clients. For Esebe April from Melton Rose, Vizeka Belebesi and Keith Louw from Kayamandi, their training will open up opportunities for them to finally pursue their dreams. Esebe completed the iPOWER (Self-Empowering) Foundation Programme in 2005 and then took up a job offer at Woolworths to work as a beauty specialist in their cosmetics department. “I am so grateful for this experience. Thanks to chefs Rene an Aviv, I have learnt to do many things, such as how to chop up vegetables properly and how to cook. I used to struggle with the baking part, but now I even know how to get my dough right. I also did not like talking in public, but have overcome that fear. At one point I saw myself working as a chef, but after doing this programme, I realised that I would love to be a maître’d instead,” said Esebe. “I am also a lot more positive about everything in my life and see things differently. I have learnt that I do not have to remain where I am, that there is a big world out there and that it is possible to do the things you want to do and to live the life you want to live. Vizeka, who worked as a waitress at Klein Joostenberg before, said that coming to PHS has been a “dream come true” for her. “I always wanted to be in the hospitality industry, but due to money constraints, I could not do it,” she explained. “Because I did not have any waitressing skills, I could never work on big tables and did not have enough skills to go further at Klein Joostenberg. I came to Bergzicht Training because I wanted to equip myself to get a better job. Thanks to Bergzicht Training and The Private Hotel School, I have learned so much. 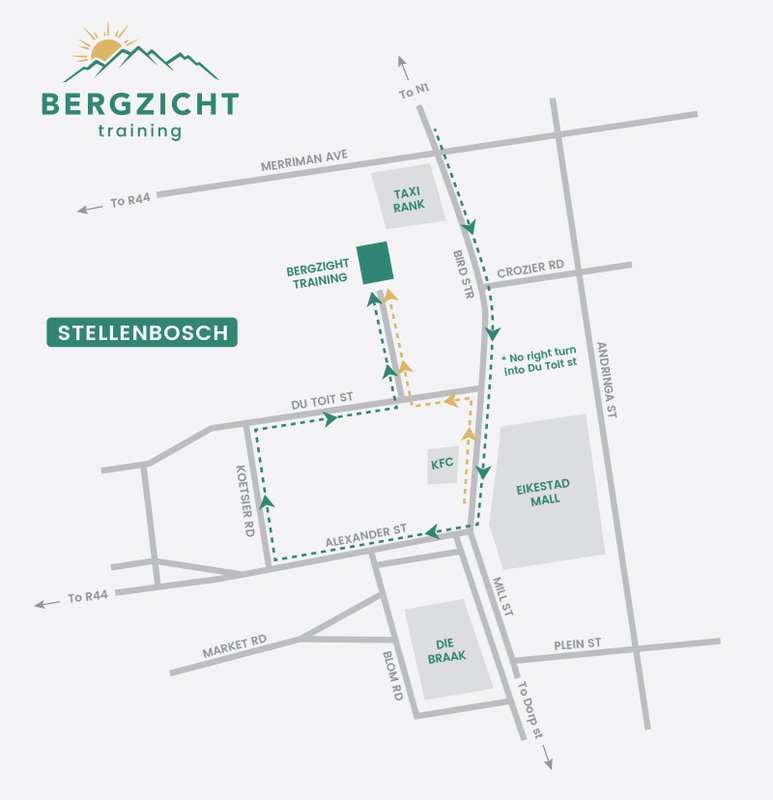 Keith admitted that when he first arrived at Bergzicht Training, he was not very serious about studying, but slowly became aware of everything the organisation was doing to empower youth in the greater Stellenbosch. “I have learnt so much – from things I knew about before, but did not know well to completely new things. I now have the training I did not have when I was waiting before, for example, I now know which wines go with which foods,” he said.